The primary gambling legislation in Bulgaria is the Gambling Act, which came into force on 1 July 2012. The Gambling Act distinguishes between several types of games: lottery games, sports betting and betting on horse and dog races, betting on guessing of facts, betting on random events, games on gaming machines, and casino games. Lottery games are gambling games in which the player participates by means of, inter alia, tickets, slips or tokens. The winning is subject to a particular number, combination of numbers, sign or figure being identified or guessed correctly. d instant lottery – a lottery game that is run by tokens with consecutive serial numbers on which numbers, combinations of numbers, signs, figures, and other symbols are reflected, written down by type, order and sequence under protection cover. It is organised as a one-off. Sports betting and betting on horse and dog races are games in which the winnings depend only on the correct guessing of the outcomes. Betting on guessing of facts is betting in which the winning depends entirely on guessing correctly or giving a true answer in relation to an existing fact. Betting on random events includes gambling games not otherwise regulated in the Gambling Act, in which the winning exclusively depends on the chance of occurrence of an event. Games with gambling machines are games organised in specifically and individually licensed gambling arcades. ‘Gambling machine’ is defined in the Gambling Act as a device in which a bet is made by coin, banknote, token, push-button, magnetic card, or by any other means, where the winning is determined by a random number generator. Casino games are games on the roulette wheel, card games, including poker, dice games and their varieties. The Gambling Act does not have a dedicated regulation for fantasy sports. The general definition of gambling applies to them: ‘any game of chance where a bet is made and there may be either chance determined winning or a loss of the bet’. Games that are not considered to be gambling are entertainment and sports games in which demonstration of knowledge and skills are required and that are not based prevailingly on chance. If a fee is paid for the purpose of accumulation of a prize fund for these games, the latter shall be fully distributed among the players. There is a general prohibition for such games to be organised online or remotely. Amusement gaming machines are not subject to a gambling regulation. The Gambling Act defines them as technical devices used for recreation, amusement, demonstration of knowledge and skills, and ones with cognitive purpose. They may award a prize in the form of an additional game, or an in-kind prize of insignificant value (equivalent of €10). Financial spread betting, foreign exchange trading and binary options are regulated by the Financial Instruments Market Act and monitored by the Financial Supervision Commission. Some forms of spread betting may also qualify as sports betting or betting on random events under the Gambling Act. The Gambling Act requires that the payout ratio for gambling machines should be at least 80 per cent of the total amount of the bets being made (the same applies to the software of the slot machines, when gambling is organised online). The payout ratio for bingo or keno, totto or lotto, raffles, betting on random events, betting on guessing of facts and instant lotteries should be at least 50 per cent of the total value of the tickets, receipts or bets purchased or made. Generally, gambling in the ex-communist countries was either prohibited or extremely restricted for a very long time. In Bulgaria, until the communist regime ended in 1989, there were several casinos operating almost exclusively for foreign tourists. Therefore, the potential of the sector boomed immediately in the first years of democracy. The gambling industry developed so rapidly in Bulgaria that it initiated a regulation (with the Ordinance from 1993) to ensure stable long-term development. Bulgarian lawmakers considered that gambling is a sensitive business activity, but at the same time, one that is in demand by society. They decided the only efficient way to differentiate legal from illegal operations and effectively protect the consumers was to impose strict rules that would make the business environment suitable for development of a competitive and well-controlled gambling market. The first Gambling Act came into force on 30 November 1999, and regulated, among others: types of gambling, the licensing regime, and requirements and restrictions. It was a strong and balanced regulatory framework for the further development of the industry, and remained as such until new technology trends meant that appropriate updates to the legislation were required. The introduction of remote gambling regulation was not a smooth process. The new Gambling Act was drafted and discussed for more than four years before it finally came into force on 1 July 2012. Bulgaria’s regulations are some of the few in Europe that do not legally assure state monopoly for certain gambling games. Any private operator that fulfils the requirements provided by the law is able to apply for a licence to conduct gambling activities in Bulgaria. There is no limitation on the number of licences and no requirements in the Gambling Act or the secondary legislation that could be considered as leading to an oligopoly or monopoly of the market. Gambling in Bulgaria is regulated on a national level and controlled by the State Commission on Gambling based in Sofia. The only companies eligible to apply for a gambling licence in Bulgaria are companies established in countries within the EU, EEA or Switzerland. There is an explicit prohibition on applicants whose capital owners are non-commercial legal entities or legal entities registered in an offshore zone. The above requirement should be carefully interpreted together with the provisions of the Act on economic and financial relations with companies, registered in jurisdictions with preferential tax regime, related to those persons and their real owners (in force since 1 January 2014), which restricts offshore companies or persons related to them from participating directly or indirectly in licensing procedures in Bulgaria, and this restriction affects gambling as well. The Ministry of Finance publishes a list of jurisdictions considered to be offshore jurisdictions. Based on the above, offshore companies cannot be granted a gambling licence, and are therefore considered to be illegal gambling operators and subject to administrative and criminal sanctions. Administrative sanctions apply for operators performing gambling activities in Bulgaria without a licence, whereas a fine of up to the equivalent of €2.5 million could be imposed. Illegal gambling operations are explicitly regulated as a criminal offence in the Criminal Code sanctioned with imprisonment of up to eight years and a fine. As an additional control tool, the Gambling Act also introduces blacklisting and blocking by internet service providers (ISPs). ISPs are bound to ban access to the blacklisted websites under the administrative sanction in the Gambling Act. The primary gambling legislation in Bulgaria is the Gambling Act, which has been in force since 1 July 2012 and has been amended several times since its adoption. The amendments reflect policymakers’ aims to reduce the administrative burden and make the licensing process even more feasible. m general rules for performing financial control when organising casino games and games with gambling machines. The State Commission on Gambling within the Ministry of Finance issues, refuses to issue, terminates and revokes gambling operational and manufacturing licences; adopts general mandatory rules for the different types of gambling games and locations; issues guidelines for the implementation of the Gambling Act; and imposes sanctions on illegal gambling activities. The current Gambling Act regulates, for the first time, both online and remote gambling. Online gambling is defined by the law as a way of organising a gambling game where players bet directly via the internet or another electronic means of communication, and the communication between the player and the gambling operator is conducted directly and electronically. All types of gambling games, with the exceptions of raffles and instant lotteries, could be organised online, upon obtaining a valid licence from the State Commission on Gambling. Land-based gambling activities are allowed upon obtaining a licence for the gambling location.Land-based gambling locations are gambling arcades, casinos, bingo arcades and betting shops. They must meet particular requirements on premises, safety-related requirements and prohibition of giving players loans, etc., in order to play. There is a limitation on the minimum number of gambling machines to be in operation in a gambling arcade, depending on the number of inhabitants in the town or village in question. For instance, in a town with more than 500,000 inhabitants the number of gambling machines in operation could not be below 50. Bulgaria requires a separate licence for legal remote gambling operations in the country and does not recognise licences issued abroad. To obtain an online gambling licence in Bulgaria, the applicant should have its main server in the territory of Bulgaria, in the territory of another EU or EEA Member State, or in Switzerland. If the main server is not in Bulgaria, a local control mirror server should be placed in Bulgaria. Additionally, a bank account for the depositing of bets and paying out winnings should be opened with a bank licensed in Bulgaria. A very important requirement is the establishment of a real-time connection between the main or local control server of the operator and the servers of the State Commission on Gambling or the National Revenue Agency. The applicant must operate with software and a gambling system that have had preliminary tests and been certified from an approved testing lab in accordance with the requirements of the Gambling Act. Manufacturing, distribution and maintenance of gambling equipment are activities subject to licensing in accordance with the requirements of the Gambling Act. Gambling operations could be performed only with gambling equipment and software that have been preliminarily certified and approved, and that are manufactured by a gambling equipment manufacturer or software provider licensed under the Gambling Act. Personal licences for individuals holding specific positions within a gambling operator are not required. The State Commission on Gambling is the governmental and administrative authority responsible for proving the eligibility of applicants for a gambling licence and issuing gambling licences. A separate gambling licence is required for organising different types of games. d do not have as capital owners non-commercial legal entities or legal entities registered in an offshore zone. An additional requirement for applicants for an online gambling licence is a lack of administrative enforcement measures for a period of five years prior to the date of filing the licence application. If the applicant for an online gambling licence does not have a local establishment, the latter should have an authorised representative in Bulgaria to sign contracts and documents on its behalf and represent it before the courts and authorities in Bulgaria. The Gambling Act has a special provision regarding the ‘participation of foreign persons’ (legal entities not registered or natural persons who are not residents of an EU or EEA Member State, or Switzerland) in the legal entity that is making the application. For such entities, a much higher investment threshold is applicable. Subject to the Gambling Act, the standard licence validity is five years (or shorter if the applicant explicitly requests). The licence may be extended an unlimited number of times upon proving compliance with the valid requirements. The Gambling Act allows that the initial licence can be granted for a period of 10 years. The only difference in the requirements is that the investments made must be double the amount that they would be if the licence was valid for five years. The tariff for the fees due in the licensing procedure for a gambling licence stipulates the applicable licensing fees, dividing them into two parts – the examination of the application documents (which varies from the equivalent of €1,000 and around the equivalent of €19,000 depending on the type of games to be organised), and the granting of the licence (which varies from the equivalent of €2,500 and around the equivalent of €19,000, depending on the type of games to be organised, for offline gambling, and the equivalent of €50,000 for online gambling). Upon the expiration of a six-month period after the decision of the State Commission on Gambling for granting a licence is voted, the applicant should submit a proof for making the required investments. In relation to this, there is a third fee due – for examining the related documents and approving the investments (the equivalent of €1,000). No annual maintenance fees are due during the licence validation. The State Commission on Gambling generally examines the licence application and its accompanying documents within 60 days. In case of factual or legal complexity, the State Commission on Gambling may prolong the examination period by an additional 30 days. For organising gambling games or performing any activity regulated by the Gambling Act without a licence, administrative sanctions shall be imposed of up to the equivalent of €1 million for organising online gambling games, and up to the equivalent of €100,000 for organising offline gambling games. If a legal entity engages in any of the activities of manufacturing, import, distribution or servicing of gambling equipment without a licence, an administrative sanction of up to the equivalent of €100,000 may be imposed. In addition, if the revenues from illegal gambling activity exceed the equivalent of €2.5 million, the sanctions imposed could reach €2.5 million. In the event of a repeated violation, the above-mentioned sanctions may be doubled. Article 93 of the Gambling Act stipulates that ‘any gaming and communication equipment used for the organisation of gambling games without a licence shall be confiscated, regardless of the fact whose property it is.’ Any received funds are also subject to confiscation. Persons or legal entities that install or use gambling equipment, accept bets, effect payouts of winnings, or otherwise assist or intermediate in the actual performance of the illegal gambling, are subject to administrative sanction with a fine of up to the equivalent of €7,500. The administrative sanction for ISPs that do not block internet access to blacklisted operators is a fine ranging from the equivalent of €5,000 to €30,000. 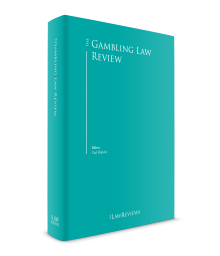 Legal entities that publish, broadcast or disseminate advertisements of gambling games in violation of the advertisement rules prescribed by the Gambling Act are subject to a fine of up to the equivalent of €15,000. Where the violation is committed repeatedly, the penalty shall be equivalent to double the statutory amount. Licensed operators that break the rules are subject to various administrative sanctions and measures, including temporary or permanent revocation of the licence. Illegal gambling operations are explicitly regulated as a criminal offence in the Criminal Code (Article 327, Paragraph 1), sanctioned with imprisonment of up to six years and a fine. In very dangerous cases, the penalty could be imprisonment of up to eight years and a fine. A player who gambles in illegal gambling operations is subject to a penalty sanction of imprisonment for up to one year. Policymakers focus on gambling as a sensitive business activity to ensure prevention of money laundering, organised crime connected to gambling activities and match fixing. The general provisions of the Bulgarian Anti-money Laundering Act apply to gambling activities. These are: (1) identification of clients or their beneficial owners; (2) data collection; and (3) ongoing control and disclosure of information regarding suspicious operations, transactions and clients. Further, verification and identification of players must be made by making entries in the relevant registries, as well as in cases where a transaction or operation exceeding the amount of €3,000 is being made. Persons conducting operations or transactions with gambling operators are obliged to declare their money’s origin if the amount exceeds €15,000, or €5,000 if the payment is made in cash. Operators are obliged to implement adequate internal policies and know-your-customer procedures. Together with regulating remote gambling operations for the first time, Bulgarian policymakers have prescribed a tax rate of 15 per cent on the turnover. This initial tax in fact closed the market, even though the regulation was meant to liberalise it. Upon further public consultations, as of 1 January 2014, the taxation model for online gambling changed, and for the time being it is 20 per cent of the gross gaming revenue. c a flat tax rate is calculated per quarter for offline casinos and gaming halls – for gaming machines, the equivalent of €250; for a gaming seat for a roulette table, the equivalent of €11,000; and for other games, the equivalent of €2,500. The above tax is an alternative to the corporate tax, meaning that corporate tax is not additionally due. Gambling operators are obliged to pay additional annual contributions for responsible gambling projects as follows: online operators, the equivalent of €25,000 per year; casino operators, the equivalent of €5,000 per year; and all other gambling operators, the equivalent of €2,500 per year. Players are not obliged to pay income tax on their winnings. Gambling advertising is, in general, legal for licensed operations. It is nevertheless restricted to names of games, the operator’s registered trademark, game results and winnings, and conducted draws. Licensed operators are allowed to sponsor in support of sports, culture, healthcare, education and social welfare. The Gambling Act prescribes penalties for breaching the advertising rules, both for the legal entities that publish, broadcast or disseminate advertisements of gambling games in violation of the advertisement rules prescribed by the Gambling Act, and the operators. Bulgarian gambling legislation has set some very important prerequisites to open, transparent and reliable business environments. There is no limitation on the number of licences that can be issued. There are no discriminatory requirements that would create unsurmountable hurdles for EU or EEA operators, and there is no need for an operator to establish a local company or move its whole infrastructure to Bulgaria in order to get a licence there. The licensing procedure is transparent and feasible. There are no developments in gambling law that are being publicly discussed as likely to happen in 2018. The Gambling Act is generally compatible with the EU laws (in particular, Article 49 of the TFEU) and meets the sensitive proportionality test that the Court of Justice of the European Union applies in gambling cases because of the specific character of the gambling business and the need to protect public order and public values. It has been notified to the European Commission in accordance with Directive 98/34/EC before final voting and has been amended with respect to the comments provided by the European Commission and some Member States. 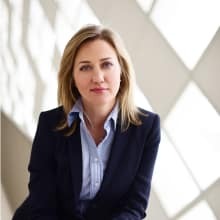 1 Nadya Hambach is of counsel at Velchev & Co Law Offices. 2 Data extracted from the annual industry country report for 2017 made by the Bulgarian Trade Association of the manufacturers and operators in the gambling industry.